Owing to the emotional bond between the sport and its audience, Sport sponsorship is a very powerful means for a brand to reach out to a new audience or strengthen its bonds with an existing market. Triathlon, cycling, and running are mass participation sports experiencing phenomenal growth in Asia, with a rapid increase in media exposure. 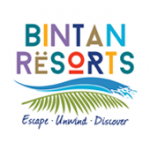 We have produced over 80 triathlon, cycling and running events in Southeast Asia including IRONMAN 70.3 Bintan, the MetaSprint Series, the Tour de Bintan and the Bintan Triathlon. We have a sound track record in delivering value to our sponsors. The MetaSport touch of unequivocal quality and the attention to details in the event we manage and execute is reflected in the constant growth of our events despite increased competition. Our events provide a platform for brand visibility, brand building, engagement and relationship management. Based on your requirements and needs, we will identify an event that has the right fit for your brand identity and objectives. Depending on your objectives, requirements and budget, a customized sponsorship package will be created to ensure the best ROI. Interested to find out how sport sponsorship can work for your brand?